Hamilton May presents a spacious, comfortable apartment, located on the first floor of a modern investment in Zabłocie - the Garden Residence. Garden Residence is a new and modern development in central Krakow, built by well known company Alpha Kraków Development, close to the Vistula river and less than 10 minutes walk from the old Jewish district of Kazimierz, around 15 minutes from the Wawel Castle and less than 20 minutes walk from the heart of the old town, the Market Square (Rynek). Garden Residence comprises 455 apartments ranging from studios to three bedrooms, from 27 to 120m2. A spacious internal garden between the buildings, the size of a football pitch ( 7000 m2) was designed by landscape architects. There is a SPA & Wellness centre (2300 m2) including a fitness club, wellness services and a modern swimming pool with controlled temperature and guaranteed water quality. A modern monitoring system and professional security guards will watch over residents of Garden Residence around the clock. The investment is completed and first residents moved in early 2011. Contact Hamilton May if you are an owner in Garden Residence and wish to enquire about letting and management services. 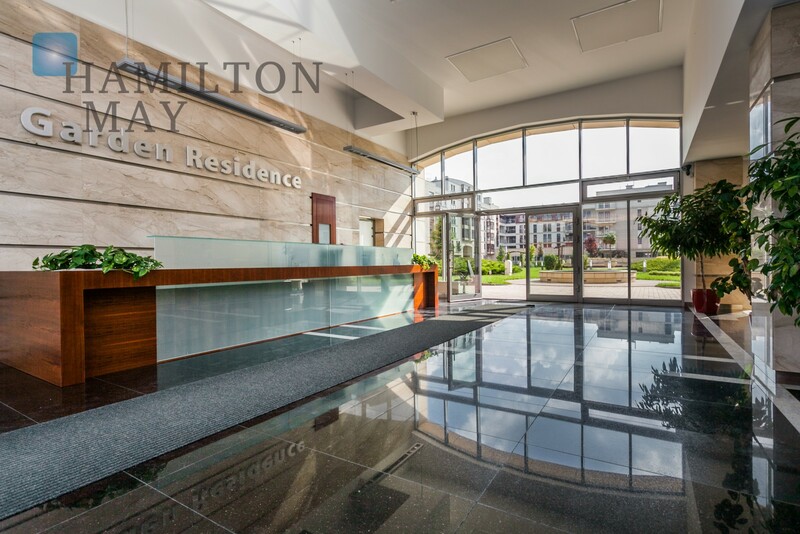 As at late 2011, there remains a large selection of new apartments for sale from the developer - Hamilton May can assist buyers to purchase in this development at 0% commission. Contact us to arrange a viewing.